Multiple Sclerosis (commonly known as “MS”) is a progressive disease of the central nervous system for which there is no cure. It is the most common disabling neurological disease among young adults. 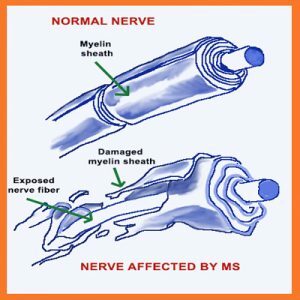 The protective myelin covering of the nerve fibers in the central nervous system of the body is damaged in MS patients. Inflammation and ultimate loss of myelin causes disruption to nerve transmission and affects the body functions. MS is most often diagnosed in people between the ages of 20 and 40. Women are almost twice as likely as men to develop MS, and in rare cases it affects children. Once diagnosed, MS stays with the person for life, but treatments and specialist care can help people to manage many symptoms well. Although its cause is not known and a cure has yet to be identified, research continues. It is not contagious. This is a disease where patients have to live with it on a daily basis for the rest of their lives. 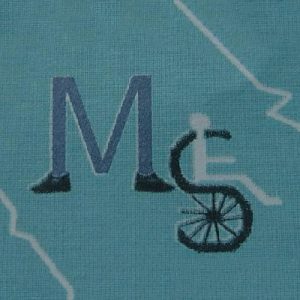 MSAL is a group of volunteers consisting of Doctors, patients with MS and their carers and well wishers. It is a non profit distributing company incorporated in Sri Lanka, incorporated in 2006. 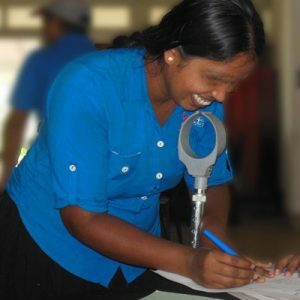 The sole interest of MSAL is to look after the welfare of the patients with Multiple Sclerosis in Sri Lanka. MSAL is affiliated to the Multiple Sclerosis International Federation. Although there are many patients in Sri Lanka with Multiple Sclerosis they have not been diagnosed due to lack of awareness about the disease and its symptoms. We have around 60 patients registered with us at present. However many more are living in Sri lanka undiagnosed. Many of our patients are from low socioeconomic status. They are mostly unemployed, due to their disabilities, and are cared for by family members. The families of these patients, especially school going children, are facing immense hardship. MSAL has regular Meetings for patients to give support and disseminate information both in Colombo and Kandy. Speakers at this meeting are from different related fields such as Neurologists, Psychologists, speech therapists, Dietitians, Psychiatrists and motivational speakers. We also assist with the purchase of medical equipment such as wheelchairs, elbow crutches, special mattresses etc. Payment for physiotherapy sessions - home visits. We provide counseling, have a telephone help line and assist in modification of their homes to make it 'differently-able' friendly. We fund raise to meet our commitments and canvas for donors. Most patients require wheel chairs, elbow crutches, walkers, special mattresses and beds. They also require assistance to purchase basic drugs which they require in their day to day lives. Most of the people with MS require physiotherapy treatment, which is inaccessible to them due to financial constraints and difficulty to reach hospitals as they live in remote villages. Most often they do not have anyone to assist them for such visits. Most of our patients are from the very lowest socio economic strata of society. Most have no access to the facilities and have to walk far to obtain water and basic necessities. Therefore patients with MS in Sri Lanka find it extremely difficult to survive. Welcome to the website of MSAL. This site is constantly being updated with new information. Therefore please keep checking regularly for more content in the Information pages. Thank You. Copyright © 2019 Multiple Sclerosis Association of Lanka – Powered by Customify.